Video is really having its moment, taking over the internet, and we could go as far as to say that we are now in a video-first marketing landscape driven by both consumer demand and the backing of social media platforms. Video marketing is now the most effective ways to deliver results, whether it’s about growing your brand, raising awareness, or increasing sales. But is your video marketing strategy ready? Our MD, Jon Mowat, is a regular speaker at events and conferences sharing his decades of experience in video marketing, and he found that many marketers want tips on how to maximise the power or video. This prompted him to write a book on video marketing strategy, “Video Marketing Strategy: Harness the Power of Online Video to Drive Brand Growth”. Published by Kogan Page, this book is filled with invaluable advice and actionable takeaways for integrating video into a wider content marketing plan. “Video Marketing Strategy” delves into the theories of why video is so effective, asking why us humans are so affected by video on mobile devices, as well as harnessing that insight to create winning videos.This new marketing book shares Jon’s formula for creating effective videos and examines how multiple videos form wider campaigns covering content hubs, activation, and testing. 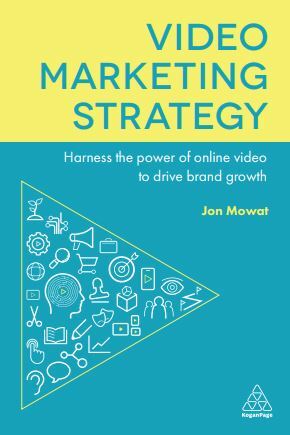 Video Marketing Strategy: Harness the Power of Online Video to Drive Brand Growth” will be out in March 2018 and is available for pre-order now. In the meantime, connect with Jon on Linkedin and @jon_hurricane on Twitter.